Cape Cod juts out into the Atlantic Ocean from the U.S. State of Massachusetts like a muscle-flexing arm. Given its heritage of tough pioneers, sea captains, whaling ships, and steadfast lighthouses, a matcho metaphor is quite appropriate. But then along came songstress Patti Page in 1957 with her hit “Old Cape Cod” to soften the edges with romance. She sang of “sand dunes and salty air, and quaint little villages here and there.” She crooned softly about “the taste of a lobster stew served by a window with an ocean view,” and of wanting to forever stay after “watching the moonlight on Cape Cod Bay.” Tourists have been drawn to the Cape during the summer months for years, but Patti spurred it as never before. Vacation homes are all over the cape from Provincetown on the northeastern end to the southwest corner at Falmouth and the island of Martha’s Vineyard. From Falmouth to Provincetown is a driving distance of only 65 miles, but if you stopped at each of the 15 towns along the way (not including the small villages within each) and took in their historic places, parks, beaches, antique shops, galleries, museums and seafood restaurants, it would take you days. Summer events are another reason to visit the Cape. The annual Pops by the Sea concert featuring the Boston Pops Esplanade Orchestra on the Hyannis Village Green is the Cape’s largest cultural event. The proceeds from ticket sales support The Arts Foundation of Cape Cod. The 2014 concert will be held August 10. For details and ticket information, click: www.artsfoundation.org/pops-by-the-sea. There are three IVHE vacation home swap opportunities on the cape: one on the upper cape near Falmouth, one on the lower cape at Brewster, and one on Martha’s Vineyard Island near Edgartown. Waquoit is Falmouth’s smallest village. 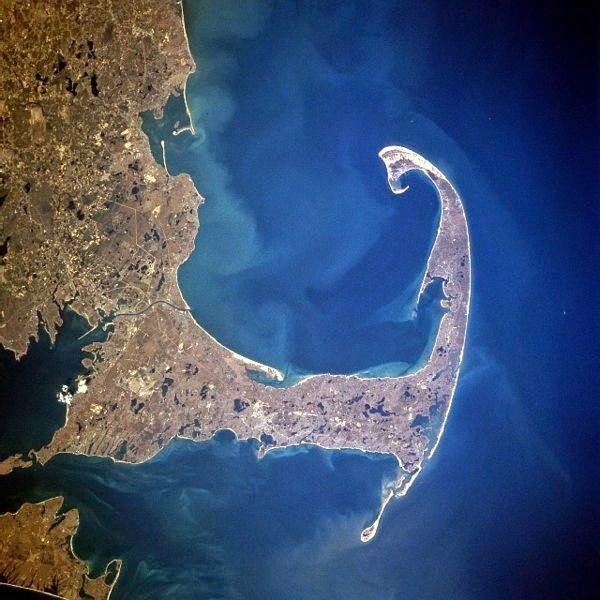 Much of the area is open waters, marshes, barrier beaches, sand dunes, pine and oak forests, and sand plain grasslands, giving visitors a glimpse of Cape Cod before development. The visitor center at the Waquoit Bay Estuarine Research Reserve is a living laboratory in the state park system and an ideal spot to start an exploration of the natural Cape Cod. Your home exchange in Waquoit i surrounded on three sides by conservation land and has views of the Moonakis River. But civilization is a clam’s-shell throw away. The home offers easy access to the attractions, restaurants, cafes, ice-cream parlors, and shopping of both Falmouth and Mashpee. It has three bedrooms, three en-suites, a half bath, and can comfortably sleep eight people. Stainless, granite and soapstone highlight the fully-equipped gourmet kitchen. 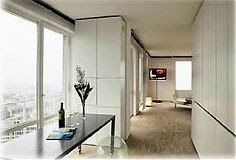 There is a breakfast room with early morning sun, and a dining room with an expandable table that will seat up to ten. For outdoor entertaining and dining, you have a 60-foot deck with outdoor grill and comfortable casual furniture. Brewster is an historic town on Cape Cod’s bay side. It has over 325 acres of beach and marshlands and several ponds over 10 acres in size. More than a third of Brewster’s land is devoted to conservation, open space, recreation and watershed protection. The drinking water is pure, the golf on two championship courses is beautifully challenging, and the outdoor recreation activities at Nickerson State Park range from trail biking, to camping to freshwater swimming, fishing and boating. Historic Route 6A, the old “King’s Highway,” runs through Brewster and is lined with art galleries, craft shops, and antique stores just made for browsing. Your vacation property in Brewster is a spacious three- bedroom condo in Ocean Edge Resort & Golf Club. You have golf, tennis, biking, indoor and outdoor pools, a private beach, and a kid’s camp for ages 4-12. Plus restaurants and bars from elegant to casual.. Private balconies highlight the spacious master and second bedrooms. A private den offers a third sleeping area with a full-size sleeper couch. The den opens up onto the deck overlooking the woods and the golf course. The living room and dining room also open up to the deck where comfortable patio furniture and an electric grill invite outdoor entertaining and relaxation. Martha’s Vineyard is an island about seven miles south of the southern coast of Cape Cod.. It is accessible only by air, and by ferry service departing from Falmouth and several other cities on the Cape. You can also catch a ferry to Martha’s Vineyard from Quonset Point, Rhode Island, and New York City. The largest town on the island is Edgartown, which rose to prominence in the 19th Century as a whaling center. Today it’s not whale blubber that keeps it going, but tourism and the draw of historical attractions and beautiful beaches. Katama, a quiet neighborhood close to downtown Edgartown, boasts an open-ocean beach that runs the entire length of the southern end of Martha’s Vineyard. The waves on South Beach at Katama can roll up on the shore with a murmur or pound it with a roar. To people with summer homes here, it’s relaxing music to their ears. Your Martha’s Vineyard retreat sits on a wooded lot about half way between Edgartown and Katama Beach. It features an open living and dining areas, exposed ceilings and a wall of glass windows. Two sets of French doors open from the living area to a large front deck. The sunny south-side-facing back also has a large deck with outdoor furniture. The four bedrooms have all the amenities for a cozy family stay. The gourmet kitchen is fully equipped and features a breakfast bar, a prep island and stainless appliances. Click the property numbers to find out more about these delightful Cape Cod homes. 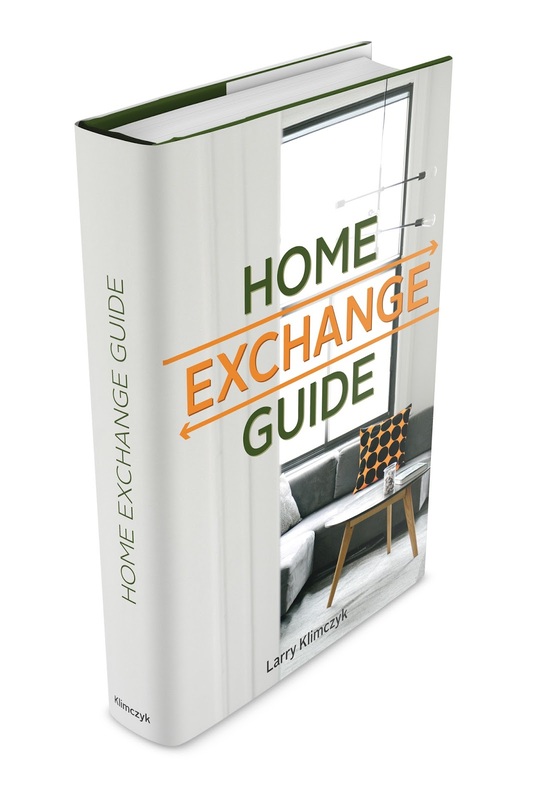 If you own a second home or vacation rental, consider becoming a member of the International Vacation Home Exchange, which features a system of home exchanges based on direct swaps, or on credits that can be applied to properties around the world without coordinated exchanges. Visit www.ivhe.com for details. When the European Union (EU) and the North Atlantic Treaty Organization (NATO) went looking for a place to base their main institutions, Belgium was a natural choice. It stands at a historical crossroads of Europe, it has managed to be a peaceful, harmonious place despite linguistic and cultural diversity, and it represents the best of old and new Europe. Belgians speak Dutch in the north and French in the South. Brussels, the capital, is officially bi-lingual but French is more common even though Brussels lies in the Dutch-speaking region. And Belgians along the eastern border with Germany speak, you guessed it, German. 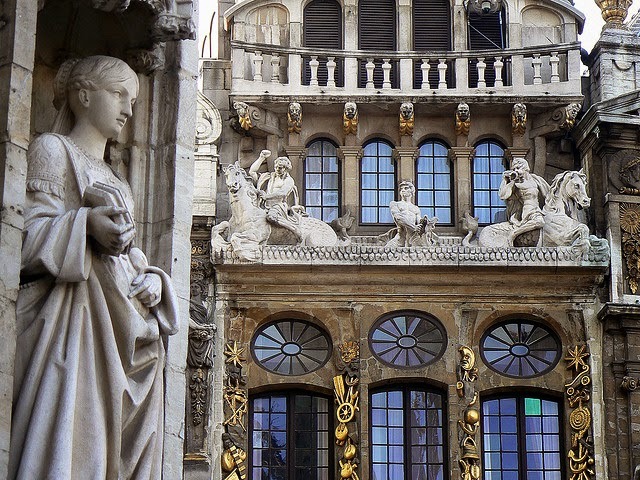 For the visitor, Belgium is all about sociable people regardless of their mother tongue, plus waffles, chocolates, Brussels sprouts, diamonds, flowers, lace, beer, impressive architecture and art works of the Flemish masters. There are about 1 million people living in 19 distinctive neighborhoods in the metro area of Brussels (Bruxelles). The most important tourist destination is the central square known as the Grand Place in the city’s Old Town. It is surrounded by splendid Gothic, Baroque and Louis XIV style buildings, notably the Guildhalls, the Town Hall and the Breadhouse. The Grand Place is a UNESCO World Heritage Site. Summer is festival time in Brussels/Bruxelles. One of the most spectacular events is the Brussels Flower Carpet that happens every two years. Almost 20,000 square feet of the Grand Place Main Square is covered in flowers laid out in intricate designs that took months to plan. With hundreds of volunteers, the construction process takes less than a day. The result is a stunning display of brightly colored flowers, mostly begonias, depicting a theme. This is the year for the Flower Carpet. Don’t miss it. The viewing is free -- August 14-17.
efficient metro has a station less than a hundred yards from the apartment entrance, giving you access to many of the city’s 80 museums, beautiful parks, trendy restaurants and lively bars. The metro can also take you to the main railroad station for connections to the rest of Belgium and all of Europe. 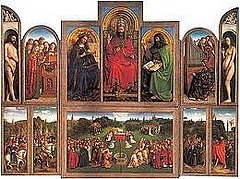 An interesting highlight in the city center is the Saint Bavo Cathedral with the Ghent Altarpiece, considered to be one of Northern Europe art’s masterpieces and one of the world’s treasures. Also awe inspiring is the Castle of the Counts (Gravensteen Castle). It was first built in 1180, abandoned in the 14th Century, and renovated and restored in the late 19th. Visitors today can travel through it and climb on top. It is still partly surrounded by a moat. Various torture devices, and a guillotine, (historically used in Ghent) are displayed in a museum in the Castle. Ghent has many fine restaurants, cafes, bars, bakeries and confectionerys, but an interesting note – it also has the world's largest number of vegetarian restaurants per capital. Official promotion of meatless meals at least once a week began as a campaign to instill healthier eating habits and reduce greenhouse gas emissions produced by meat production. It caught on, and vegetarian eating options sprung up all over town. Your house in Ghent has high ceilings and a charming apartment feel. Originally built around 1908, it was completely refurbished and updated a few years ago. It is located on the street where former Prime Minister Wilfriend Martens had his private home when he was of member of the Beglium Parliament (1985-1996). You can walk to the many shops and services nearby. Old Town is about 10 minutes away. Or take a convenient tram. It makes a stop on the block and gives you public transporation access to just about anywhere in the city. 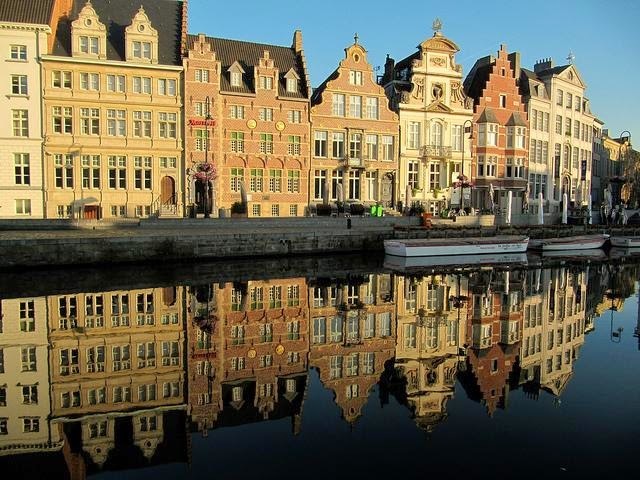 Find out more about these two wonderful home exchange places in Belgium by clicking the property numbers above. If you are not a member of the International Vacation Home Exchange – and you own a second home or vacation rental property – joining IVHE can put your property to use in ways that will give you a world of personal vacation options. Click www.ivhe.com for details.